Fiona Christie joined us here at FreeAgent on a 3-month internship with our Data Science team this summer after completing an undergraduate degree in Mathematics and Statistics at the University of Glasgow. She impressed us so much that we offered her a full-time role and we even managed to persuade her to write this post about her experience as an intern. Condensing my time at FreeAgent into one post hasn’t been easy. The amount I’ve learned and the amount that I’ve enjoyed the experience surpass what can be deemed a reasonable length for a blog post by far. Luckily, however, I’ve managed to condense it down to a few highlights. Originally hailing from Glasgow I thought I was always going to be a West Coast faithful but Edinburgh has done its very best to persuade me otherwise! I always knew Edinburgh had a lot going on culturally – I moved through for the summer so I was able to attend a plethora of Fringe shows – but what I wasn’t aware of before defecting East was the incredible tech/start-up scene. I’ve happily dipped my toe in the water, attending EdinbR meetings and Scotland Data Science and Technology meetups which are sponsored by the brilliant Scotland-based Data Lab. There’s a great community doing a whole host of interesting projects which I’m excited to learn more from in the future. Going from working alone in a sad corner of Glasgow University library to having interesting discussions about my code in the bright, snazzy FreeAgent offices required a massive shift in my approach to problems. Talking through problems with the FreeAgent staff showed me how my skills can be be used in a business environment, and in particular opened my eyes to the wonderful world of functional programming and reproducible code. Non-Negative Matrix Factorisation (NMF) – previously popularised by success in the Netflix prize. This approach allowed me to find latent behaviors that resulted in engagement with groups of features. Ultimately, my research was used to develop persona groups for typical users and to inform the design of upcoming marketing campaigns. Doing research in areas of genuine importance to the company and seeing my work being put into practice almost straight away was one of the most rewarding aspects of my internship. One of the main reasons I was drawn to data science was to talk to people about something they’re passionate about and I was able to do this (and then some!) at FreeAgent. There is no fixed definition or job description for a data scientist, but to me it’s someone who takes a scientific and methodical approach to asking and answering questions and this is exactly what I was able to do in my time at FreeAgent. I was able to use what I learned during my undergraduate degree as well as gaining a wealth of invaluable new skills and knowledge, and I can’t imagine having done it with anyone other than the incredible FreeAgent team. And it’s not over yet! I was fortunate enough to be offered a full time position so it’s more than likely you’ll see me posting on the blog again in the future. 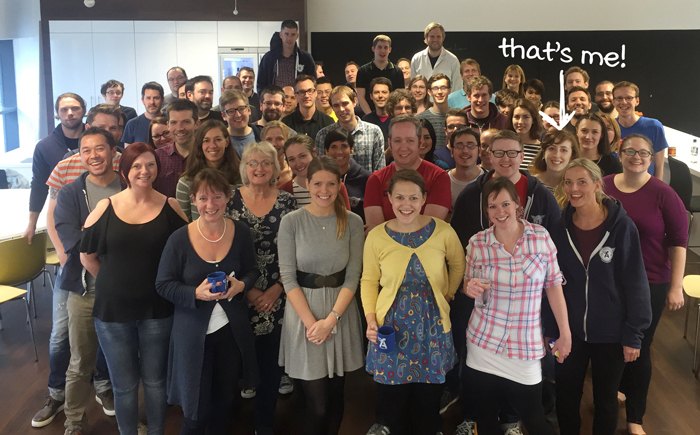 Interested in starting a career of your own at FreeAgent?